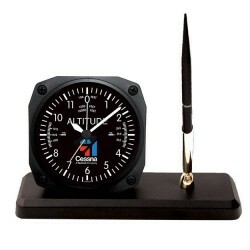 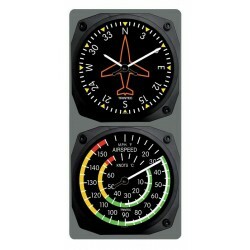 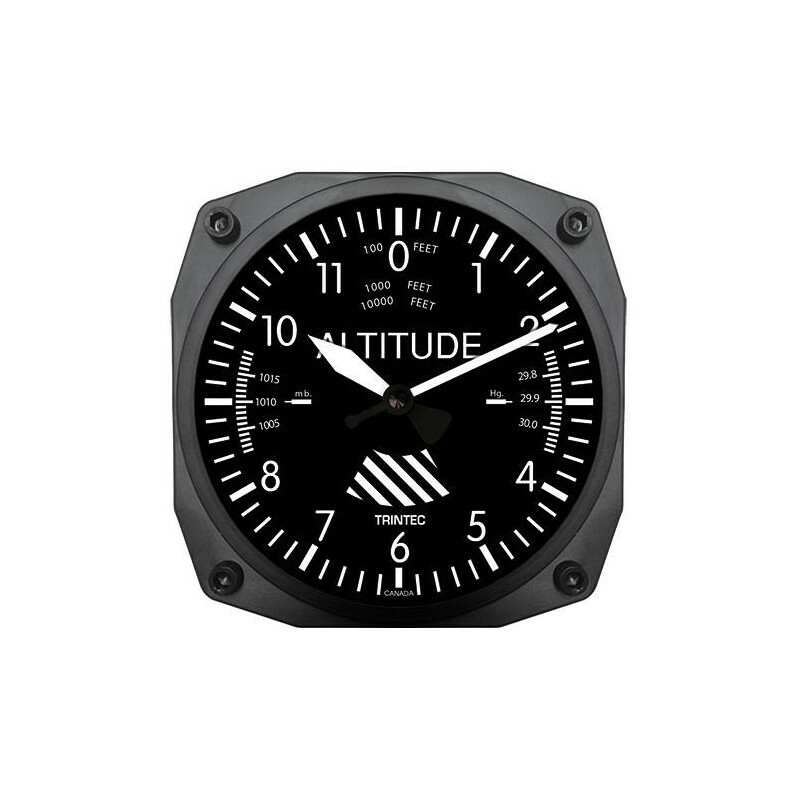 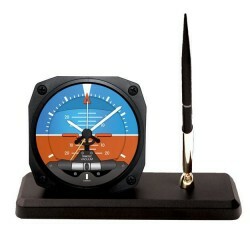 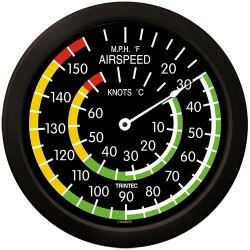 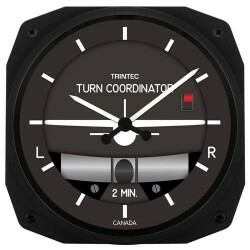 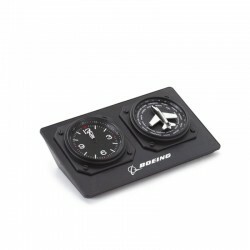 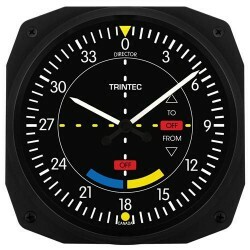 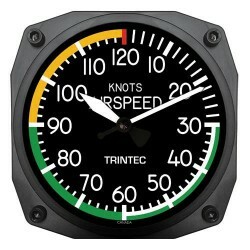 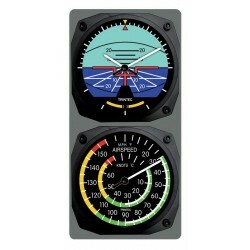 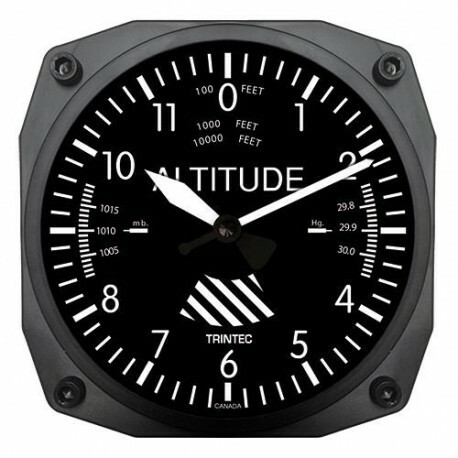 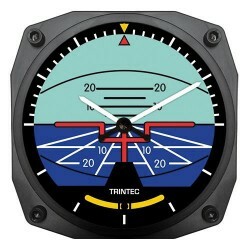 Trintec's 6" Instrument Style Wall Clocks are made to closely portray primary cockpit flight instruments. Each clock features the actual shape of an aircraft instrument and a replicated dial. • Injection molded high impact polystyrene case. 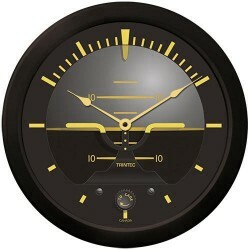 • High quality American made Quartz Clock Movement. 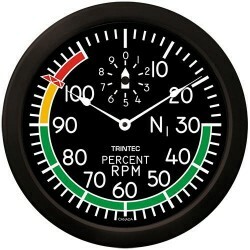 • One "AA" battery required. 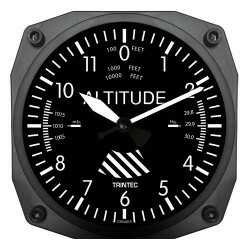 • Dimensions: 6.5" x 6.5"